Kevin Connors is Managing Partner of ConnorsO'Dell LLP, a law firm of 20 attorneys. 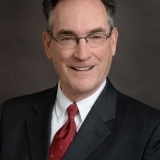 With almost 30 years of experience in insurance defense work, workers' compensation, personal injury, subrogation claim, and commercial litigation, Kevin has a bibliography of over 30 articles published on personal injury and workers’ compensation litigation and has won numerous awards, including Best Attorneys of America, Super Lawyers. Kevin speaks at numerous national conferences about litigation issues, trial prep, and emerging trends in law. His goal is to grow his firm and acquire more clients. Kevin graduated from Villanova University School of Law with his Juris Doctor degree in Law, received his MFA from City University of New York-Brooklyn College in Creative Writing, and his BA in English from Saint Joseph's University. He is a Certified Workers' Compensation Specialist having received credentials from the Pennsylvania Bureau of Workers' Compensation.